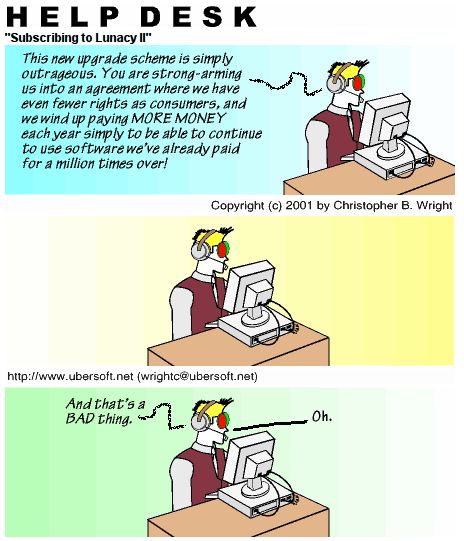 CUSTOMER: This new upgrade scheme is simply outrageous. You are strong-arming us in to an agreement where we have even fewer rights as consumers, and we wind up paying MORE MONEY each year simply to be able to continue to use software we’ve already paid for a million times over! CUSTOMER: And that’s a BAD thing.